If you were recently involved in a car accident in which you were not the at-fault driver and had to be treated at a local hospital for your injuries, there is a substantial likelihood that the hospital will file a lien against you in an effort to maximize the payment the hospital gets for treating you. A large majority of hospitals are filing liens in accident cases because they can charge higher rates for their services and often times medical insurance companies are refusing to pay if the treatment was necessitated by an accident. If a lien is filed against you, you should receive a letter from the hospital that indicates that the hospital has placed a lien on your claim. A notice is also filed with the County Clerk so as to put others on notice of the lien. Insurance companies often check the county clerk’s records before paying on a settlement and if a lien is filed the insurance company will make the check out to you and the entity who filed a lien against you. This can be both frustrating and confusing when you’re trying to reach a settlement with the at-fault driver’s insurance company. Is the hospital or doctor trying to extort me for my settlement money? 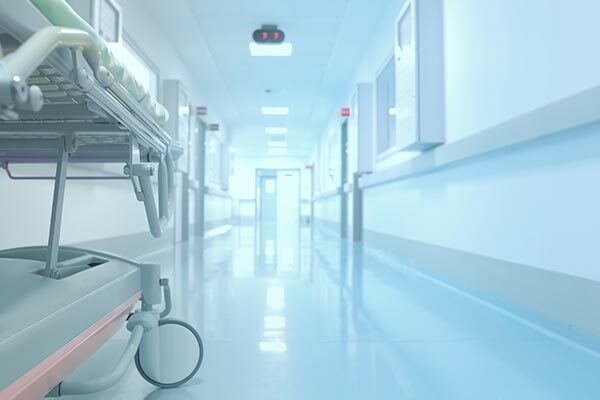 (a) A hospital has a lien on a cause of action or claim of an individual who receives hospital services for injuries caused by an accident that is attributed to the negligence of another person. For the lien to attach, the individual must be admitted to a hospital not later than 72 hours after the accident. The statute also makes liens valid for “emergency medical services providers,” which includes emergency transportation companies. If you went to the hospital in an ambulance, the ambulance company may also file a lien against your claim, but only in a county with a population of 800,000 or less people. Also, the ambulance had to have provided you services within 72 hours of your accident and the amount of its lien cannot exceed $1,000. It’s important to note that an emergency room physician can also file a lien against your settlement, although it must be attached to the hospital lien itself. Often, emergency room physicians work as independent contractors. In the case an emergency room contract physician happens to treat you, they’ll likely attach their billed amount to the hospital lien. Can I negotiate a hospital lien? Some hospitals are more reluctant to negotiate liens than others, but it’s advised that you hire a legal professional to contact the hospital to try to settle the lien. This will help ensure that you do not over pay for the services you received. Negotiating a hospital lien also depends on the nature of your case and what your settlement includes. By way of example, if your settlement is just for the amount charged by the hospital than it likely that the hospital will take the majority of your settlement. In the case you start receiving collection notices or bills before your case is settled, and there is an existing lien on your case, you should have your lawyer contact the hospital to help cease collection efforts until your settlement is awarded. Do hospitals file liens when treating all car accident victims? Hospitals don’t always file liens when treating all car accident victims, especially if the victim they are treating is the at-fault driver. In that case, they’ll likely file against your health insurance, try to take an assignment of benefits from you, and send you notices of unpaid invoices and threaten to send you to collections. It’s better to consult with a legal professional to explore your options and to ensure that the collection process is as fair as possible and leaves with you enough settlement money to fairly cover all of your damages, especially if your injuries caused you to lose wages and caused additional pain and suffering. It’s also important to note that the at-fault driver’s insurance company won’t pay you your settlement funds until the hospital lien has been negotiated and resolved, so it’s better to ensure you are fairly represented in those negotiations before agreeing on a settlement amount. Also, the hospital lien statute only allows hospitals to collect money from a third party, and not your own insurance company if you receive additional underinsured or uninsured motorist benefits.